The use of GPS in surveys and mapping depends on a good understanding of basic GPS technology and mapping and surveying techniques; installing the appropriate software on the GPS enabled devices; and undertanding how to utilize such applications optimally. The many advantages such as making complex tasks simple as well as savings on time and resources make this very popular and one major benefit than GPS has brought about. 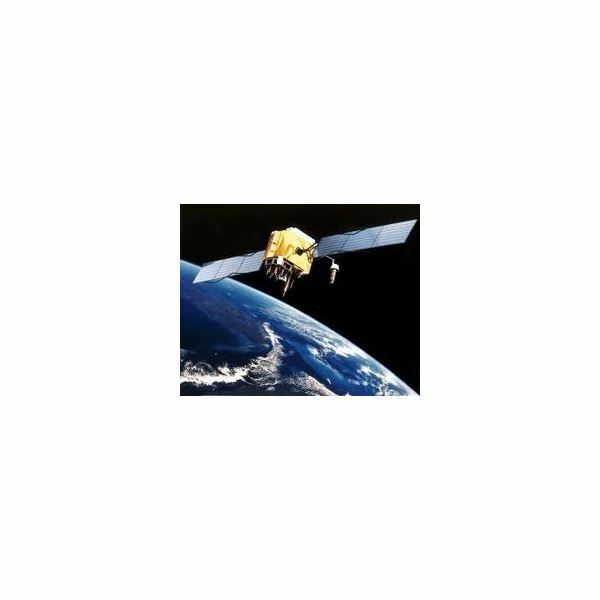 GNSS or Global Navigation Satellite System is a satellite system capable of pinpointing geographic locations of receivers all over the world. The US-based GPS or Global Positioning System is one of the three GNSS types in existence now, with the Russian federation based GLONASS or Global Orbiting Navigation Satellite System, and the European based Galileo the other two. Learn how these satellite systems operate to gain a thorough understanding of how GPS finds use in surveying and mapping. GPS surveying relies on satellites orbiting the earth in an extremely accurate path, earth control stations, receivers and atomic clocks. The GPS signal fixes user position and transmits data to earth by signals. The receivers use triangulations to determine the precise user location. The receiver compares signal transmission time and signal reception time. Difference in time indicates the distance of the satellite from the receiver. A minimum of three such measurements from different satellites allow pinpointing the longitude and latitude of user position, and a fourth satellite measurement reveals the elevation, time and position. GPS also determines bearing, speed, trip distance, and many additional data required for survey techniques. Traditional methods of survey involve mechanical and electromechanical equipment such as compass, measuring tapes, calculators, and more. Precision depended on line of sight, topography and other considerations. Such methods required excessive resources and were time-consuming. Using GPS in surveys involves obtaining signals from satellites, and this eliminates much of these difficulties. Traditional surveying requires much labor and expense, and imposes many limitations. Using handheld GPS surveying units not only helps to save money and effort but also makes surveying complex terrain such as bunkers, waterholes and other obstructions easier. The Federal Highway Administration (FHWA) has applied GPS technologies to good effect over the last five years. Using GPS for surveying and mapping has many advantages, but the technology is not without its challenges. Atmospheric effects such as inconsistencies of atmospheric conditions affect the speed of the GPS signals. Radio signals reflecting off surrounding terrain, buildings, canyon walls or hard ground may cause inaccuracy in GPS readings. Noise and clock drift errors lead to errors in the clock. Learn about what GPS surveying systems need to consider all these parameters and allow adequate tolerance for correction. Using GPS devices for mapping and surveying necessitates installing the required software. Many programs serve a variety of purposes while remaining compatible with the GPS devices from popular manufacturers such as Garmin, Magellan and TomTom. This article reviews the best on offer including the best third-party offerings and free maps. One major use of GPS maps is to track location, regardless of whether the user is navigating roads and highways, off-road, trails or even blazing and bushwhacking. GPS maps representing the lay of the land are must-haves for all such occasions. Garmin provides a host of handheld GPS maps for such purposes, including icons for Points of Interest (POIs), trails, detailed descriptions, contours, symbols for man-made objects and more. Review the best Garmin has to offer in this front. A geological map displays the geological features of an area, with various features denoted by different colors. The application of GIS in geological mapping makes it easy for surveyors to create 3D maps for any area with precise and desired scaling. Such 3-D views offer a much better understanding of anything compared with 2-D images. It also makes the survey fast, accurate and cost-effective, and helps in many ways such as constructing new roads. Construction surveying is one important application of GPS surveying. Applying GPS makes grading, elevation, staking, mapping and site exploration easy. Learn the basics of construction surveying and an insight into appropriate GPS devices for this purpose. GPS technology finds use in many areas. One such popular application is for navigation on the water. GPS maps are useful for defense and coast guards as well as commercial applications in boat cruises, small yachts, fishing and more. The article elucidates the scope of such GPS marine maps and reviews the popular Garmin GPS Marine Map Units. Garmin Topo maps make for a good add-on in Garmin portable handheld GPS devices and facilitate activities such as hiking, fishing, geocaching and hunting. Find out the best such maps on offer and where to get them. Read this excellent review of the best sources of free GPS mapping software. The software covered works with all popular GPS devices such as Garmin, Magellan, TomTom, and others. While official map software such as Garmin MapSource updates and ensures accuracy, third-party sources expand and enhance mapping capabilities. Installing GPS mapping software on a netbook enhances its functionality and allows it to be used as a GPS device. Five top GPS mapping software applications for netbooks are CoPilot Live 11, Garmin Mobile PC, iNav iGuidance 4.0, Microsoft MapPoint and Mapfactor PC Navigation 9 Software. Blackberry Map GPS Software – What is Available? GPS for Blackberry takes the shape of either a built-in GPS receiver or an external Bluetooth GPS receiver. The option for Blackberry without an SD slot is to download maps from the Internet. This article traces the application of the three major types of GPS software and helps to determine which application works best for your needs. Most mapping software programs are expensive or come bundled with GPS devices. TopoGrafix EasyGPS, Lowrance Enhanced Lake Maps, MapSphere, OziExplorer and Google Earth are notable exceptions, providing users with a host of possibilities. Read about such software and what it offers. Want to know more? Refer to this complete guide to all GPS maps for a comprehensive GPS map overview, for all purposes. Also, use the comments section that follows each article in this guide to GPS surveys & mapping to seek clarifications, ask for additional information, share your thoughts or engage in a lively discussion with the author, editor, and other subject enthusiasts.